With winter ending, and spring ever approaching, you can be assured that rainy weather is on its way. What else are you going to need than an almost indestructible umbrella? 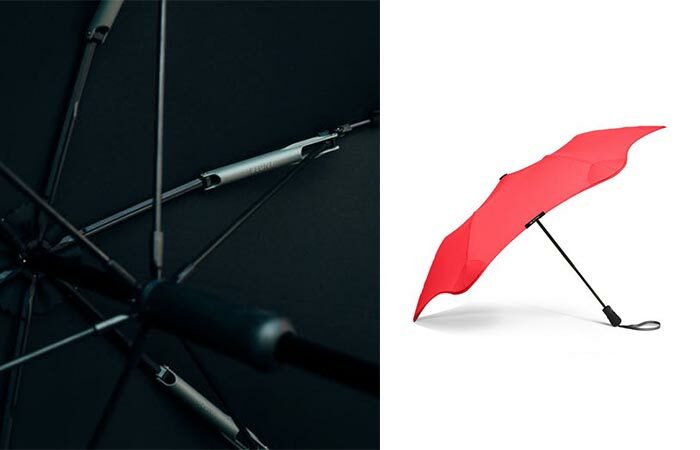 Inspired by the extreme weather of New Zealand, the Metro By Blunt Umbrellas is just what you need. Designed to be stylish, easy to use, and super strong, the Metro truly does stand apart from the rest. It uses Blunt tips to distribute the force, and to enhance the safety of passersby. The Metro features a superb design that is comprised of telescopic ribs, and a modern wind-shearing shape. It also features a unique radial tensioning system. In other words, it won’t blow out, give up, or fly away. It was designed to stay put! Check out the video below. It also comes with a unique radially tension system that gives the Metro a phenomenal strength. The Metro has been tested and rated for winds up to 55 mph. It also comes with blunt tips, that distribute force, and enhance passerby safety. Being small, portable, and yet, super strong, you know that the Metro is aerodynamic and has been engineered for easy handling. 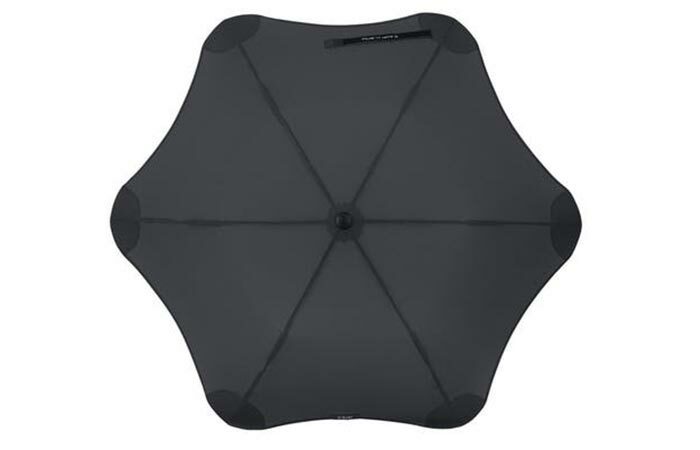 This umbrella is constructed out of quick-dry polyester. The shaft is made from anodized aluminum, and the handle is made from rubber. It also has a diameter of 37 inches, a length of 14 inches, and a weight of 0.8 lbs.